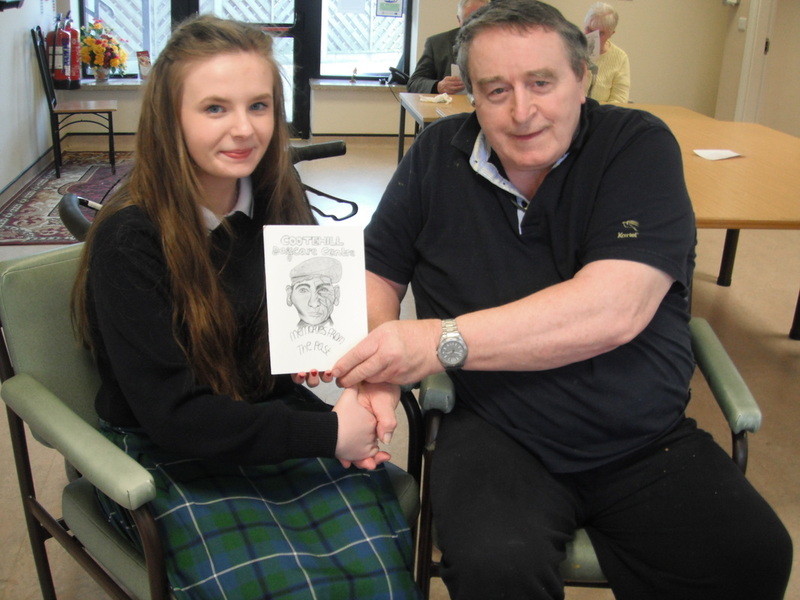 On Wednesday 22nd April 2015 students in Ty1 from St Aidan’s Comprehensive School Cootehill hosted a Tea party for the senior Citizens in the Cootehill Day Care Centre. This enjoyable occasion coincided with the launch and distribution a book of stories called “ Memories from the past”. The students visited the Centre each week throughout the year. They listened to and recorded stories that the senior Citizens told them and compiled all the stories into a book. The students then presented this book to everyone at the centre. It was special occasion to see everyone flicking over the pages and reading the wonderful memories and stories. St.Aidan’s are sincerely grateful to all the staff ; Rose, Patricia Pamela, Bernie , Mary and to everyone at the centre who made them feel so welcome each week and of course a huge thanks for contributing all the stories for the book.